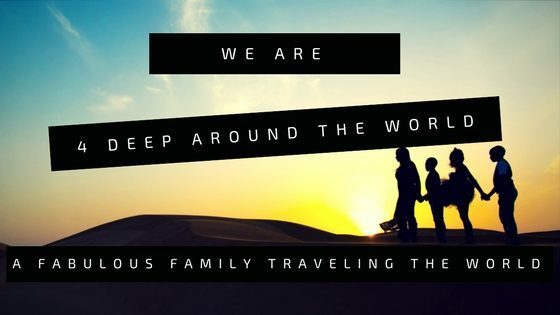 Recently, many of you had the chance to read a blog entry by Roni Faida (The Travel Guru) about the journey and adventures of 4 Deep (my crew). As well as the article featured on Huffington Post by Tenille Livingston. Since then I’ve been beautifully overwhelmed by the amount of Facebook shares, comments, and messages I’ve received. It is overwhelmingly clear that people are ready to step out on faith. Before the worldwide exposure of our journey, many asked me to blog or create a V-Log about my journey. To be honest, I have a fear of public writing and critics. Since grade school, writing has never been my academic strength. Also, before May 19th, the day the The Travel Guru feature “Fabulous Mom of 3 Living in Abu Dhabi” dropped, I didn’t think my testimony had much power. It wasn’t until I started receiving Facebook messages and emails from strangers from around the world thanking me for sharing my testimony and expressing their readiness to step out on faith that I realized my purpose. For those reasons, I unknowingly slept on my life’s purpose. It is probably long over due so here is my attempt to do so. You have been warned! It may not be written like a typical conventional blog either. Well my life has not been typical nor conventional so I would assume my blog, which is a reflection of such, would emulate. I hope you can find a glimpse of hope and inspiration in my journey. In an attempt to share my story and the journey of 4 Deep, I will try to share as much as possible but at the same time attempt to keep some of my private life, well exactly that, private! I know that judgment will come from some and I am okay with that and prepared with my armor. I understand my struggle, pain, tears and over all journey may not be meant for you. I am optimistic that you will recognize that my blog entries will not come from a place of hurt or anger but yet a place of healing, peace and praise. With that being said, I am ready for any and all ridicule you may be ready to entertain yourself with. Now that I have gotten the formalities out of the way let me share the journey and travels of 4 Deep with you one blog entry at a time. Let’s Get It! Tanai Benard & The Fabulous Four Deep Around The World Family, The Podcast! I’m glad we had the chance to connect, I’m looking forward to reading about your families adventures! Thank you for all of your assistance. You are amazing! Yes, I can’t wait for you to experience the international travel life with me. Looking forward to it 🙂 Thanks for being so inspirational ! Thank You. I look forward to sharing with you! Thank you so much Tenille for everything. I look forward to building our relationship as we encourage and inspire the world together. Tanai, I’ve just become acquainted with your blog. I so appreciate your truth and honesty. I look forward to reading more of your entries. Thank you for sharing! Thank you for taking the time to read it and comment. Your blogs are simply amazing. I appreciate your strength and courage. It is truly inspiring to hear your testimony and see you overcome the areas you discuss. I read the article a while back. I will now follow the blogs you post. Excited for you and your babies. Thanks for sharing! Thank you for your kind words. I appreciate you following our journey. Excited to see more and eventually share my stories with you. You have really inspired me…. Your story is PHENOMENAL! It spoke volumes to me. I am so excited for our chat. Awesome story on stepping out on faith. I to plan to make the leap of finding employment in Dubai. Though it is challenging to find a job I am glad to have read about your success and I am hopeful I to will be successful in the end. Thank you. Thank you for starting this blog. 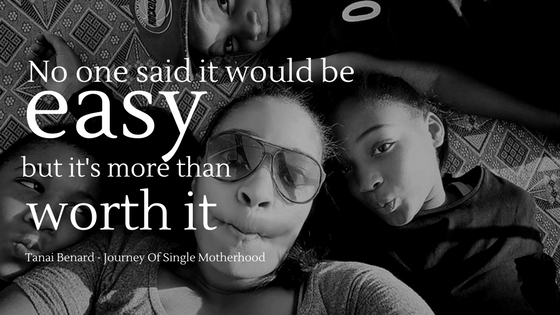 I’m also a teaching mother of an 8 year old and I have been single for a year now. I have always wanted to travel the world and teach but didn’t for a variety of reasons. But, now I feel like I can accomplish my goal of visiting each continent with son and also teach. I am looking forward to following your families journey on your blog. What was your firs step in starting this awesome journey? I first applied online for a teaching abroad position. Where you already teaching in the US? Were you already teaching in the US? Wow, your testimony is very powerful and your life and courage are so inspirational. When I arrive, we must meet.